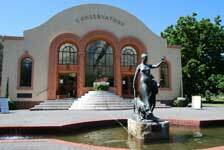 .......I've made up a couple of lists with my opinion of the top ten places to visit for Families and Tourists. 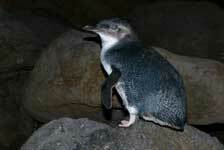 (Just click on the photos to take you to the relevant page). 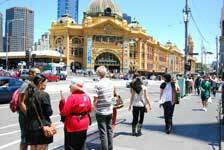 Go on a free 2 - 4 hour tour of Melbourne with a Volunteer guide on behalf of the City of Melbourne. ........And don't miss the view from the top. 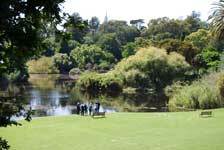 Go on the free guided walk around the Royal Botanic Gardens to really appreciate its beauty. 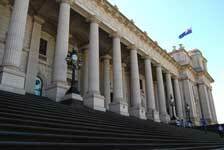 Go on the free tour here at Parliament House and see a wonderful building dripping in gold paint inside. Go and see these lovely creatures coming home at the end of a hard days fishing. 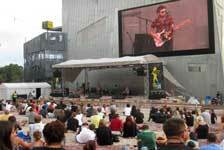 With about 2000 events a year, don't miss Federation Square - there's almost always something going on here. 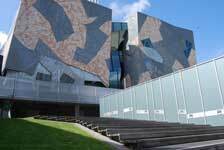 A great walk past 23 of Melbourne's most interesting buildings. 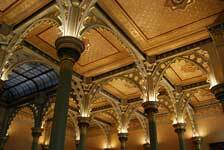 You'll be amazed at the wealth used to create this wonderful building at the ANZ Bank on Collins Street. 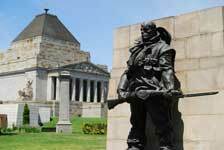 Take the free weekly tour here at Fitzroy Gardens to see and learn lots of interesting things about Melbourne. 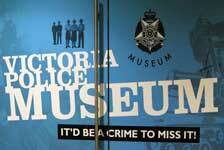 You'll learn lots about Melbourne here at the Victoria Police Museum, some good, mostly the bad! !